VisionWide always committed to the development, design, manufacturing production, quality management, sales, and service of CNC machine tools. Almost twenty years experience in the field of machining centre, we have become a world well-known brand and recognized as one of leading 5 Axis Machine Centers manufacturers. 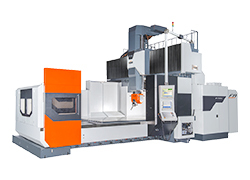 Equipped with fully integrated control system, our five-axis CNC milling machining centers are the best and worth investing equipment in the industry.